Legend Motors LLC has been a customer for years and we recently gave racingadventures.com a refresh in structure, "editability". 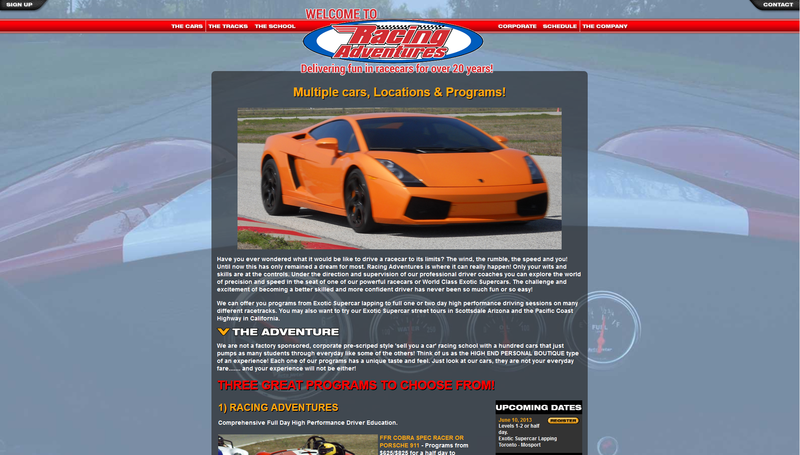 Home page messaging was improved to funnel visitors to racing adventure packages, which includes weekend camps driving a Lamborghini around 5 different race tracks in North America! Check it out! !